This is the home of automobile road tests in South Africa. I drive South African cars, SUVs ﻿and LCVs under real-world South African conditions. Most, but not all, the vehicles driven are world cars as well, so what you read here possibly applies to the models you get where you live. For out-of-province vehicle launch features however﻿, travel costs are covered by the manufacturer concerned. This is common in the motor industry, as it's more economical to ship journalists to cars than to ship cars to journalists. URGENT NOTICE: Aabaco Small Business has, in the course of a so-called upgrade, managed to delete access to my "contact@scarletpumpkin.com" email address. That means your questions sent from pages in this site are no longer forwarded to my home email, nor can I go into "contact@etc" and find them. Please send future enquiries or comments to: gordon2@telkomsa.net or to gordon@scarletpumpkin.com Thank you for your understanding. Jiseishin: It means patience, or self-control, in Japanese. We mention that because car reviewers tend to become exasperated with CVT (constant velocity transmission) gearboxes. 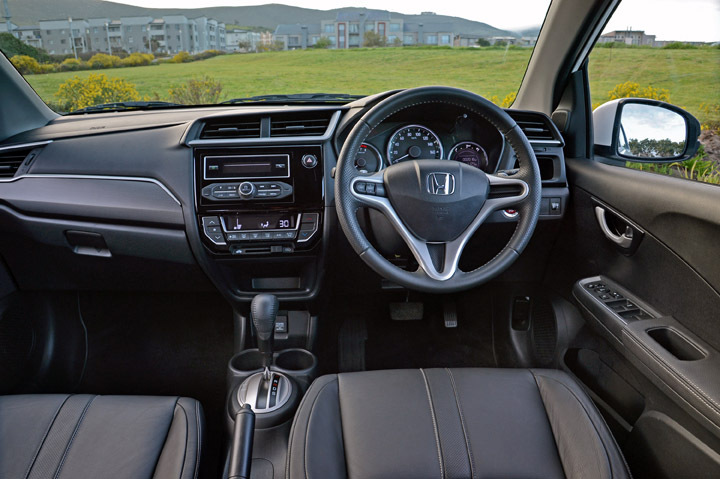 While Honda’s is better than most; working pretty well with the brand’s more powerful engines such as the 1.5-litre turbo and 1.8 iVTEC, it was less happy with the unboosted 1.5 fitted to our test BR-V.
We hated it initially for slipping and whining, as these things can do, until we placed our mindset into that of a typical buyer of this car and acquired Jiseishin. Treated gently, the car accelerates smoothly and kicks down competently when asked to do so. It will never be a racer although sliding the stick backward, to Sport Mode and holding selected gears using the shift paddles, might help you release your inner rebel on occasion. We believe a typical buyer might be someone who loves his or her Honda Jazz but would like a compact SUV for the school run or for taking neighbours to the Mall. 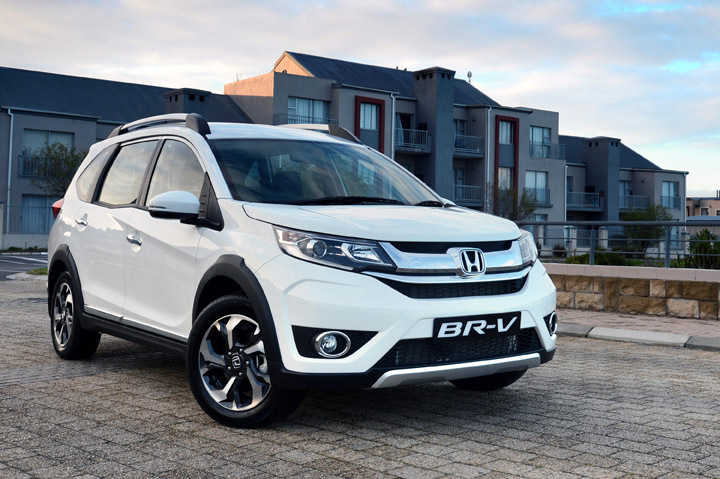 As 130 South African buyers per month, on average, can confirm, BR-V has secret weapons that most wannabes do not. First, it seats seven adults comfortably with sufficient head- and knee room and easy access to the back row. It helps if they are reasonably supple, of course. Being aged under fifty or so helps too - you get the idea. Usefully, all second- and third-row seats can be folded and tumbled away to accommodate whatever oddly shaped cargo you might like to load when passengers aren’t your immediate priority. Second-row chairs slide fore- and aft to adjust kneeroom as needed, backrests in both rear rows can recline individually and six-footers have more than a fist-width of headroom – in all seats. Comfort fittings back there include a row of repeater vents across the ceiling, stacks of cup- and bottle holders, a central armrest, adequate seatback pockets and door bins, and a second courtesy light. Rather inconveniently, the second row offers only a lap belt for the centre passenger and two head restraints. 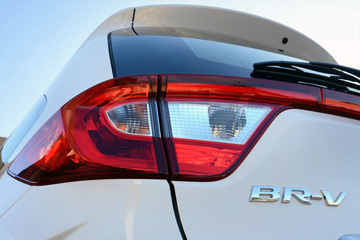 BR-V’s second secret weapon is the fact that it, like Honda Brio, is built in India. Gravel roads there are easily as bad as ours so the odd stretch of washboard, interspersed with small potholes and tooth-rattling embedded stones, shouldn’t faze it at all. 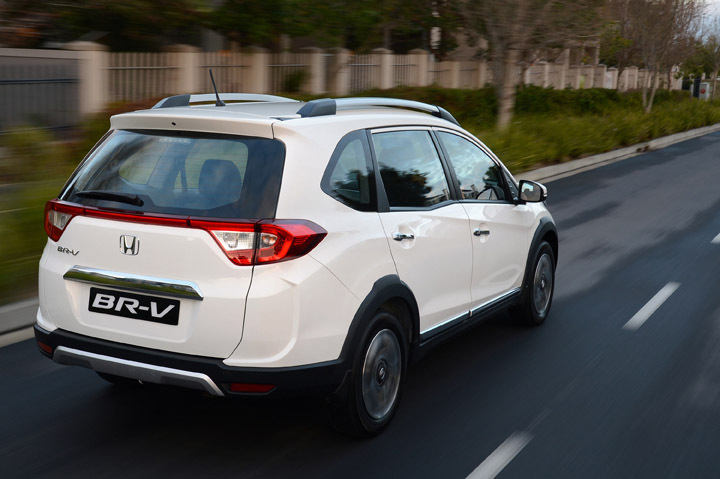 Despite looking tall and skinny the BR-V held on tightly, with minimal body lean, along twisty country roads at speeds slightly faster than average buyers would probably push them. No Civic Type-Rs were challenged but the little bus did rather well. If you’re especially picky, though, you could be disappointed with standards of fit and finish – doors tend to clang, carpets are lightweight and not all panel gaps are even – but you can’t buy a Maybach for just a whisper over R300 000. Priorities. To give you an idea of pecking order in the range, the basic Trend model offers two airbags; disc and drum brakes with ABS; steel wheels; manual transmission; halogen headlights with manual adjusters; roof rack; fabric upholstery; manual wing mirrors and manual air conditioner. Entertainment comes from a four-speaker music centre with radio, CD player, Bluetooth ‘phone connection and the usual input sockets. Windows are all powered with auto-down for the driver. Automatic door locking, keyless entry, an onboard computer with outside temperature display and an immobiliser complete the package. Kit improves progressively via the intermediate Comfort level until top-of-range Elegance offers leather upholstery, manual or CVT gearboxes, alloy wheels, keyless entry and starting, front fog lamps, automatic air conditioning with the roof vents mentioned earlier, powered and folding side mirrors with indicator repeaters and two more speakers. Instrumentation, controls and infotainment are simple – no touch screen, no satnav, no fussiness. This car is made for people wanting solid, basic transport without toys that don’t contribute to overall utility and enjoyment; people with Jiseishin. Do you ever wish you understood what language your mechanic is speaking when he tells you that this or that part needs replacing - usually at a frightening amount of money? This Road and Track article will help to clear things up. After the intro, click on "View Gallery" to see typical pictures and descriptions of 50 of the most common parts you need to know about. * Trying to figure out what kind of powertrain would suit your needs best; petrol, diesel, electric or hybrid?